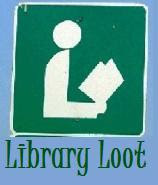 Library Loot is hosted by Eva at A Striped Armchair and Alessandra at Out of the Blue. Go find out what other bloggers have checked out from the library this week. I feel a bit all over the place with this stack of books. Three YA titles, two scifi/fantasy. Apart from the YA, they're all 1001 books. Signing up for the 1% well-read challenge again has made a difference in my book selection. I did the same thing last year, reading 5 books from the list in one month and burnt myself out. We'll see how these books go. Meanwhile, back to Neil Gaiman. What are you reading at the moment? What're you reading next? Ohhh, I thought The Cement Garden was brilliantly chilling. Before I left Books a customer I'd recommended loads of books to, gave me about 6 Arthur C Clarke books as a Thank You, I feel bad as I've only read 1 but it was good. btw I totally loved American Gods but you know how much I adore Mr Gaiman. I'm so close the the library now its great as its saving me money. I'm reading Persausion by Jane Austen, Watchmen by Alan Moore (yes I count comics) and The Sword and the Circle by Rosemary Sutcliffe and next I've got The graveyard book by Neil Gaiman, The gone-away world by Nick Harkaway must pick more I like having 3 books on the go for variety. The Cement Garden looks good. You seem to like Pat Barker, so I will have a look for some of those, as we do tend to like similar books. Interested in what you think of The Astonishing life of Octavian Nothing, jury is still out on that one for me! I never have any shortage of books to read and I find myself at the library all the time! So fun to go get some library loot. I'm hoping to stop by the library this week and pick up some holds. The only book I've read from your list there is The City of Ember - I hope you enjoy it.